Today me and my Mum were invited to my brother's house for a family fun day, and we had so much fun! We started out by colouring for an hour or so, in their brand new colouring books. We played on Mario Kart 8 on their Wii U for a bit, before moving onto the main event. 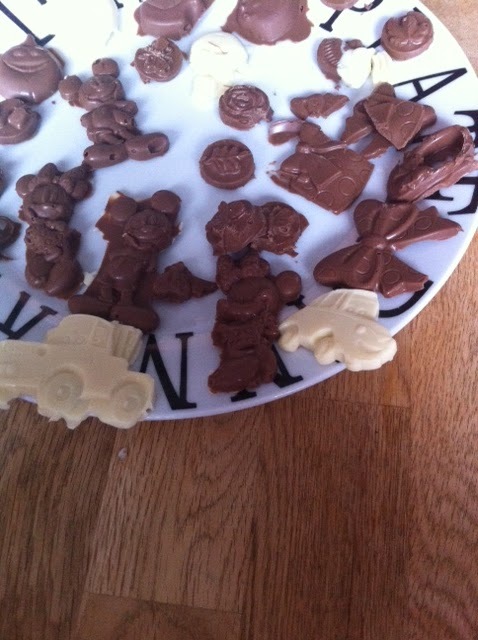 My sister-in-law bought some huge bars of chocolate and we decided to make chocolates using their Disney moulds. 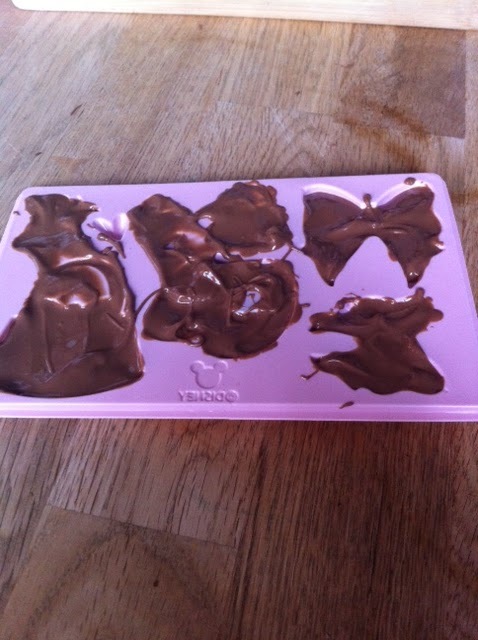 We melted the chocolate in a bowl over a pan of boiling water in the dining room, and then spread it into the moulds using spoons. 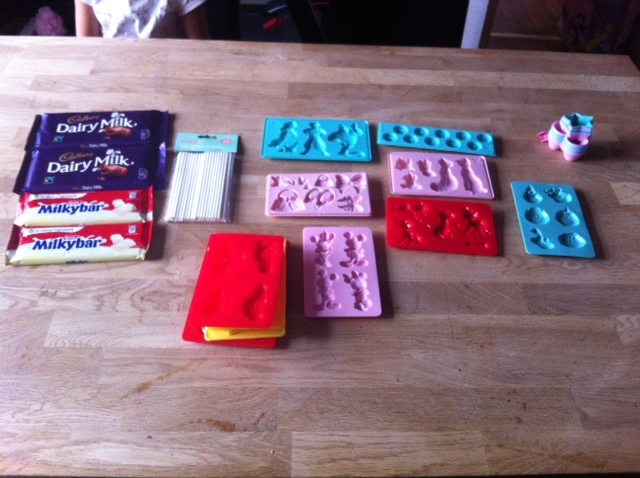 It took less than 20 minutes in total, and it was a lot of fun, even if we did make a lot of mess! 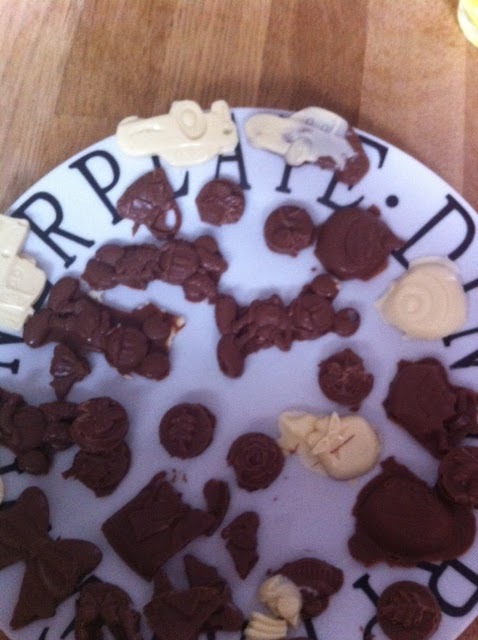 We popped the chocolates in the fridge to set for an hour while we had lunch, and then tucked into them with a cup of tea! 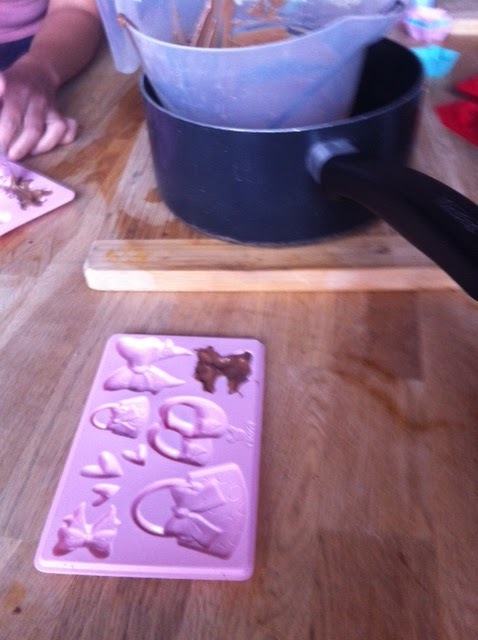 It was a great morning and a really cheap but enjoyable activity if your children/ children you are babysitting are bored! I spent the rest of the afternoon at my other brothers playing with my niece and nephew, before enjoying an amazing dinner! We had an aubergine and cheese bake, with chicken breasts, salad and homemade garlic bread and bruschetta. For dessert, we had individual mini creme brulees. I have been so naughty with food today, but really did have the perfect bank holiday Monday.